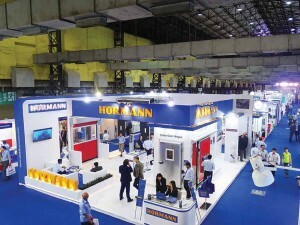 Cold chain logistics players highlighted their capabilities at the sixth edition of India Cold Chain show. Hwasung Thermo displayed roof mount air-conditioners. These include the HT-050RT, HT-100RT and HT-250 RT, and are aimed at delivery vans. Reefer India displayed a refrigerated container it has built on an Eicher Pro platform. The PUF insulated container is suitable for transporting temperature sensitive goods. Its corrugated outer wall is made up of a 1.4 mm GI sheet (JSW make). It is claimed to be capable of withstanding rigorous weather conditions and is free from corrosion. Helpful in reducing weight, the container is mounted on a sub-frame. 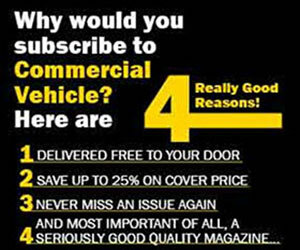 The door gaskets are of the EPDM rubber variety. The ‘J’ and ‘P’ type of gaskets are claimed to ensure a vacuum seal. Geo-tagged via GPS sensor, the reefer truck has its container temperature monitored with multiple temperature sensors for safe and secure transportation. Sub Zero Insulation Technologies Pvt. Ltd. displayed a comprehensive range of refrigerated solutions. 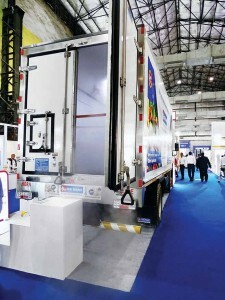 The company, on a BharatBenz 1617R truck, displayed a reefer container. 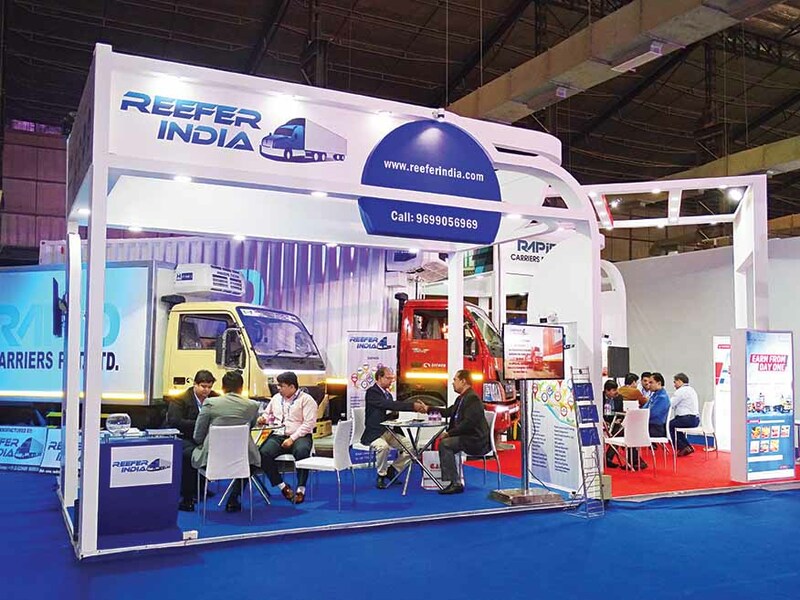 Highlighting the company’s design prowess, the reefer truck also hinted at the manufacturer’s ability to offer customised solutions. 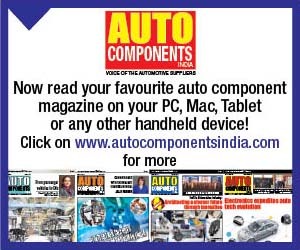 Solutions that include a choice of flooring, accessories and allied equipment. The company also offers dry freight boxes, eutectic systems and multi-temperature boxes. Its single continuous panel with steel reinforcements are claimed to be high in strength. 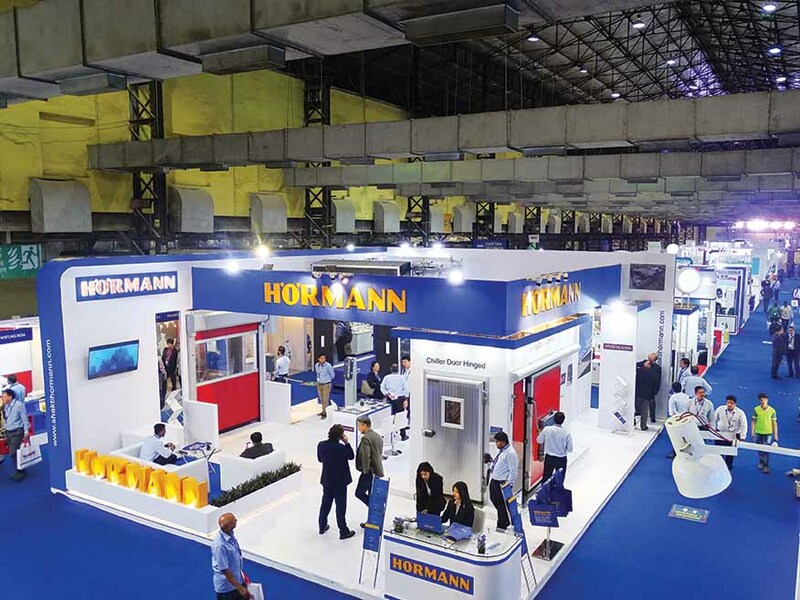 Pointing at the need for the cold chain logistics space to mould itself into an organised playing field to achieve higher and better growth, industry stakeholders called for the need to tap opportunities in an environment that is fast changing. 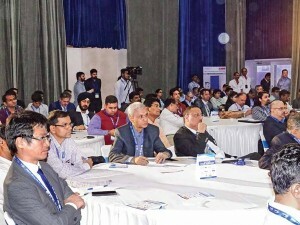 They stressed upon the study by Crisil, which was made public at a panel discussion on ‘Tapping opportunities in cold chain and future trends in the cold storage, cold transport and cold supply chain sectors’. 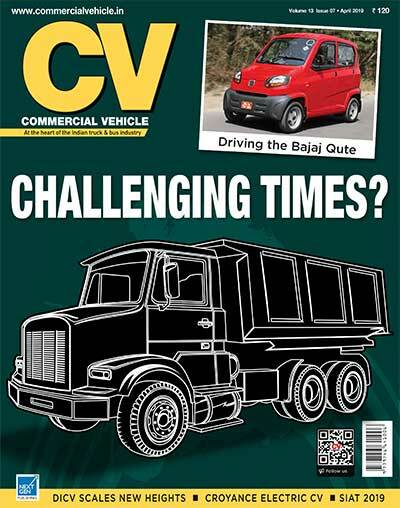 “The study reveals that 91 per cent of the cold chain industry in India is unorganised. This calls for a need for the industry to organise itself. 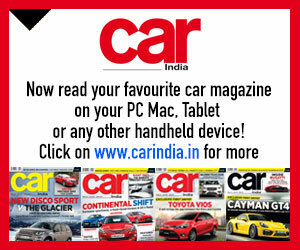 Only then will the acceptance levels among customers will go up,” said Binaifer Jehani, Director – Research, Crisil Ltd. She opined that organised players are finding it tough to compete with the unorganised players. 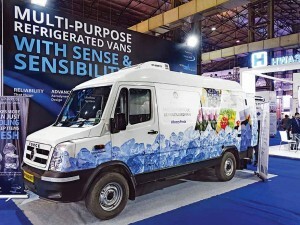 Stressing upon the need for quality, Jehani said, “Customers will pay only when they see quality.” Stating that the cold chain logistics market in India is estimated to grow at a CAGR of 27 per cent, and expected to expand at a CAGR of 23.88 per cent in value terms by 2019, Jehani averred that the growth potential is high. With over 3500 companies claimed to make the unorganised part of the cold chain logistics industry, the organised part accounts for a mere 10 per cent of the industry overall. 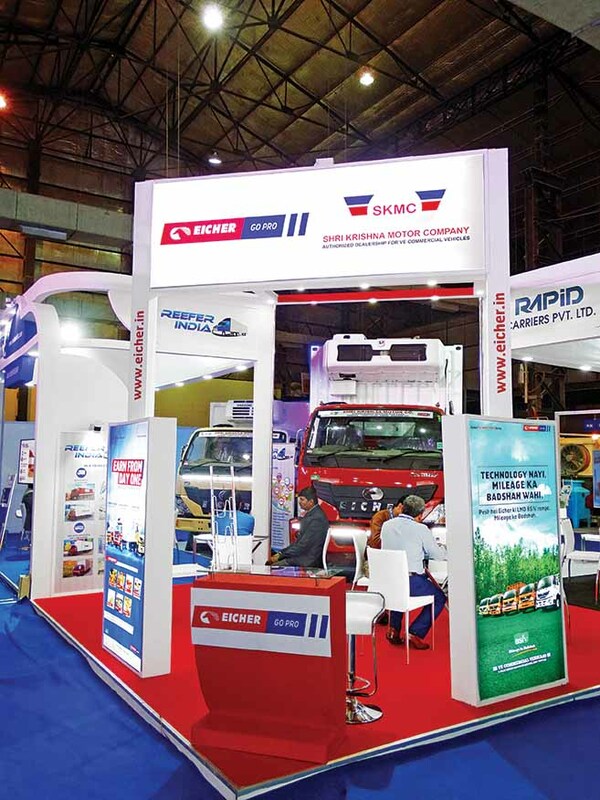 Challenges include fragmentation, high operating costs, lack of small size reefer vehicles, and high ambient temperatures. 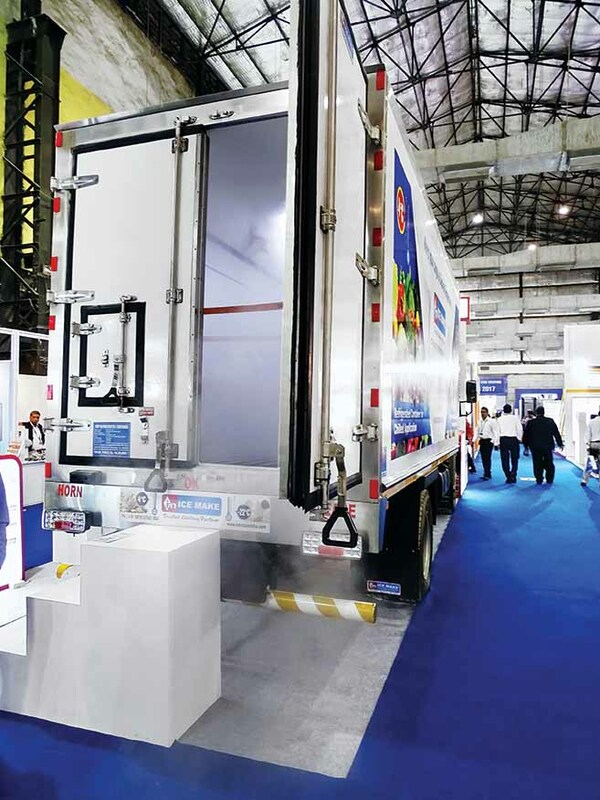 With an estimated 5,381 cold-storages contributing 95 per cent of the total storage capacity, the need is to offer efficient cold chain services, and to improve the poor road conditions, mentioned an industry stakeholder. Another stakeholder said that the high number of toll nakas are leading to a loss of efficiency. With 36 per cent of the 5,381 cold-storages claimed to be below 1000 metric tonnes capacity, the talk at the fair was to impart skills to improve supply chain management, and to employ advanced technologies to improve the efficiency. Mentioned Shaukat Ali Farooqi, Director, Allanasons that there was a need to audit the reefer fleets. He cited irregularities that are prevalent in the pharma sector. “There is a need to monitor the temperature control and audit the reefer fleet,” mentioned Farooqi. He opined that ice cream companies and restaurants should demand quality that is no less than in the advanced markets. Stating that it took 10 years for the dairy industry to reach where it is today, Jehani expressed the need for others to follow. Sangram Sawant, CEO of PescaFresh, drew attention to the interruptions at several stages of the chain between sourcing and last mile delivery. “For food safety and quality, the temperature has to be carefully and continuously controlled as well as monitored. This has to be done at each stage of the supply chain because most food products are temperature sensitive and perishable. To ensure food safety, it must be kept at an appropriate temperature at all times, and the origin of acquisition to processing, storage, transportation, and sales,” averred Sawant. “If this is adhered to, the food loss will greatly reduce. Food wastage and contamination will be prevented, and effective control of food quality and safety will be achieved,” said Sawant. Sawant also touched upon the need to bring regulations to create a pull. 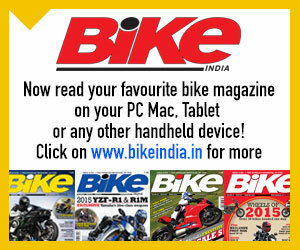 He spoke in favour of green technology. Mentioned a participant that there was a need to substitute refrigerants like perfluorocarbons (FCs) and hydrofluorocarbons (HFCs) with natural refrigerants. 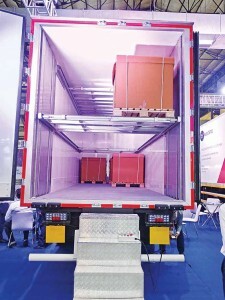 The use of multi-temperature models in small cargo transportation is innovative, he said. At the fair, the Internet of Things (IoT) was the buzzword. 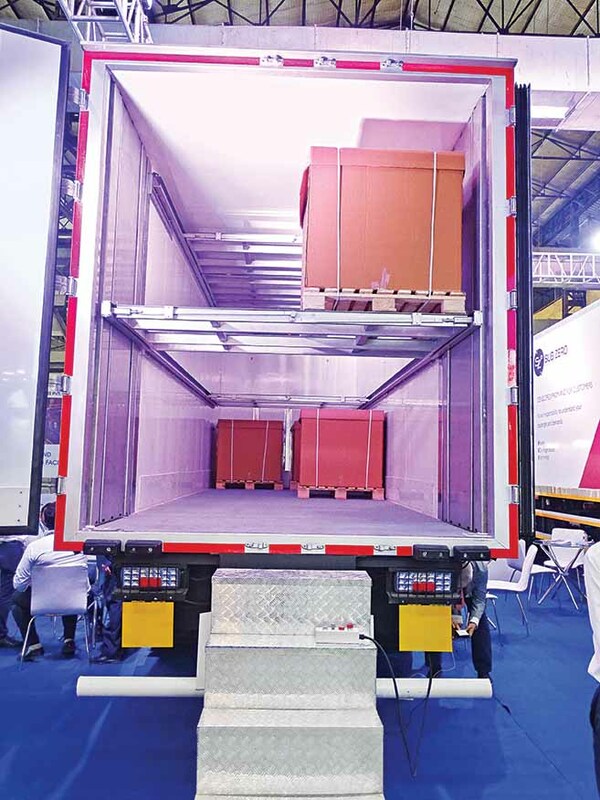 A discussion on IoT brought to the fore the opportunities cold chains, reefer truck manufacturers and commercial refrigerator manufacturers could draw. IoT was cited as a crucial tool to efficiently manage the assets, make them productive and profitable. The discussion on IoT also highlighted how it could be used to precisely monitor and manage temperature and humidity, reduce energy costs, deploy predictive maintenance, and use Big Data analytics for actionable business insights. 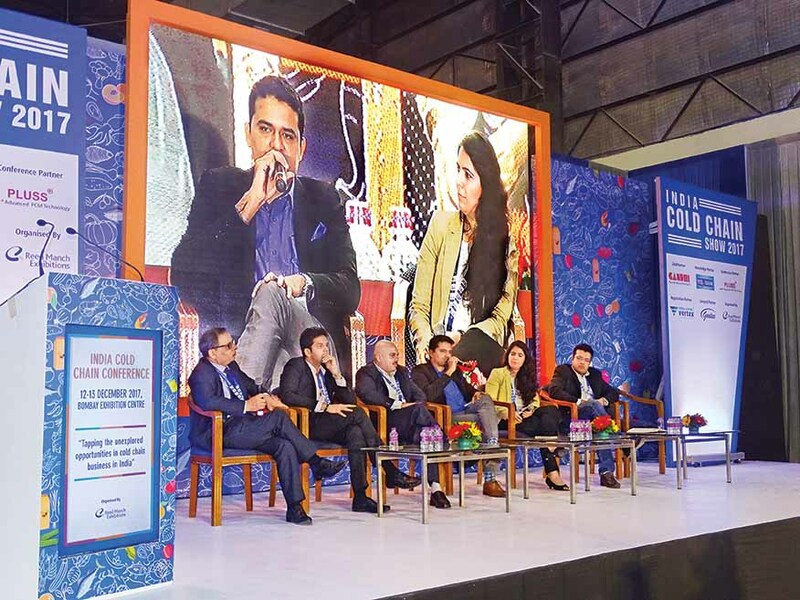 “The biggest obstacle is in its acceptance,” expressed Baasit Shukri, National Cold Chain Manager, Hindustan Unilever Ltd (HUL). Stressing upon the need to look beyond passive data logging, he said that the need was to use it as a standard technology even though it would increase the overall equipment cost. Co-founder and CEO of Atsuya Technology, Rahul Gandhi mentioned that the need is to make dumb assets smart. He highlighted key trends like the demand for real-time data and analytics, the evolution of predictive maintenance, and low powered and long-range sensors for monitoring. 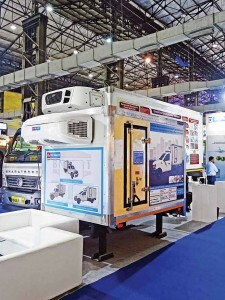 Speaking of end-to-end refrigeration monitoring, Gandhi gave the example of a reefer truck. He averred that parameters like location, energy, water detection and temperature through a GSM sim could be routed to the Atsuys Kryo Cloud, which in turn would route the push notifications to relevant stakeholders including the store manager, technician and the respective OEM. Gandhi also spoke about the key considerations for the implementation of IoT. 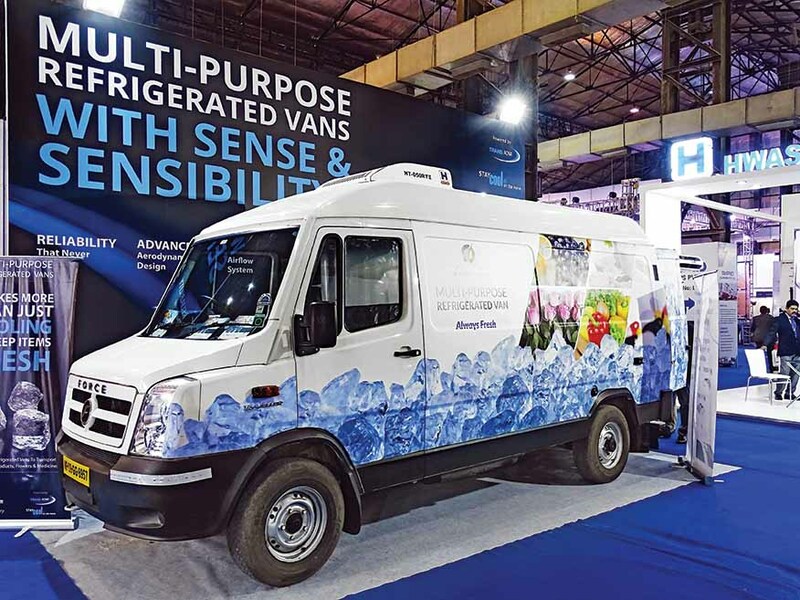 Stating that global users of IoT for refrigeration include Kroger, BPL logistics, Hershey’s ice cream, Subway and Bayer, Gandhi expressed, “It is crucial to check the ROI before narrowing down to a technology. “The choice is between predictive and prescriptive models of data. One needs to filter down 200 data points in the case of a reefer truck,” he signed off.